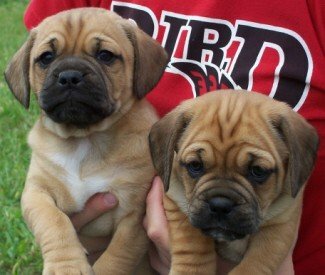 Here in Northeast Missouri at Prairie View Puggles, we only raise first generation puggle puppies (Pug male crossed with beagle female). This is the only way to get a true puggle. All of our parents and puppies are given plenty of attention every day. 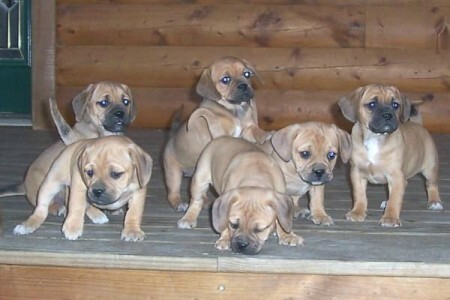 Our puggle babies are very socialized by all members of our family. They are used to being lugged around by our kids so they will be ready for yours! Both of us have lived on farms and have owned dogs all our lives. We have a great deal of love and respect for all of our dogs. We are licensed as a hobby breeder since we only have 3 females. Also, we do not sell our puppies to pet stores or brokers. We only sell to individual families. We do our best to make sure our babies go to good, loving homes. 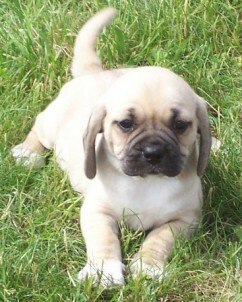 After much research we chose puggles as the breed we wanted to bring into our family. They are very kid-friendly dogs and do not require a lot of maintenance/grooming. They get along great with all people and other animals as well. They do not get too big, but are not so small that you have to worry about stepping on them. They are great to rough-house with the kids and then are ready to snuggle on your lap.